This larger version is the official ASG Ring that was presented only to the players, coaches, both managers, and a few select others. 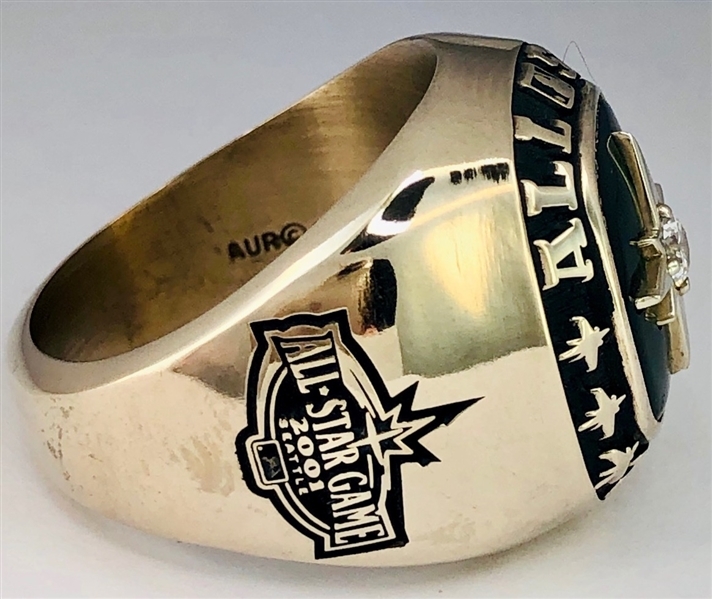 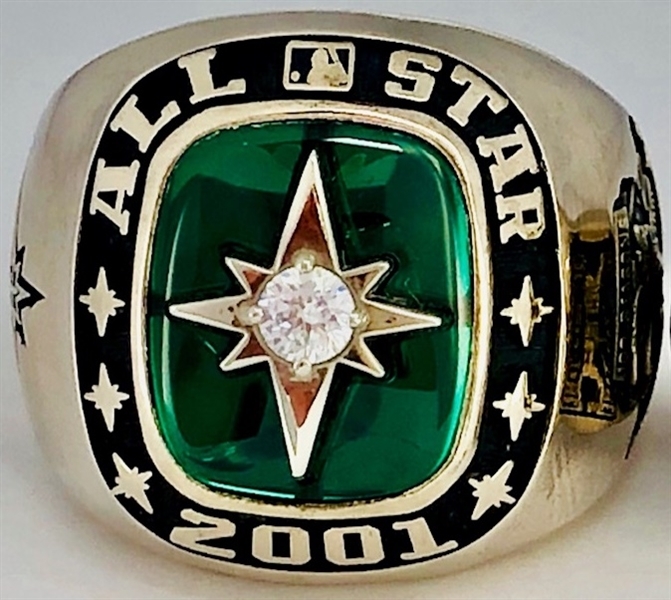 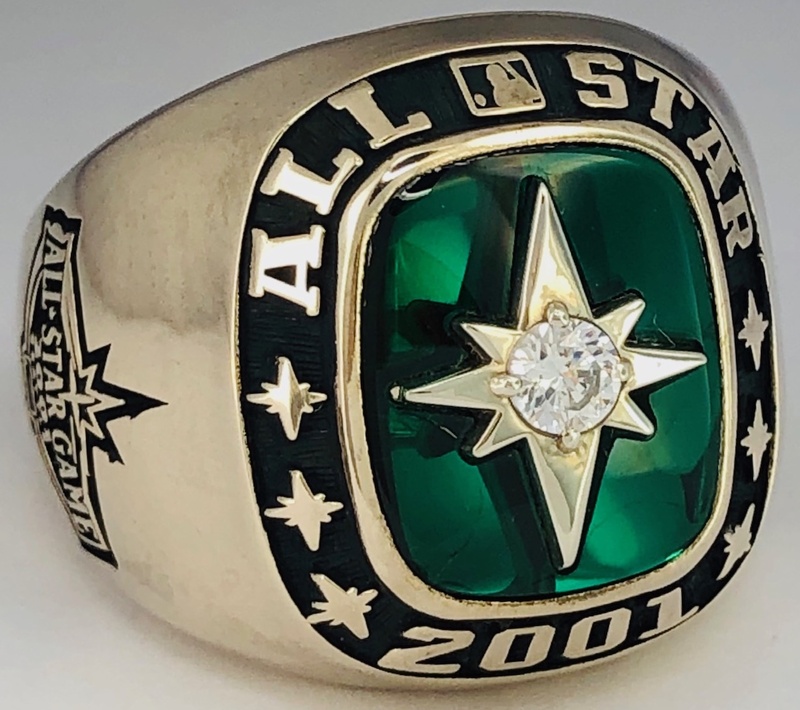 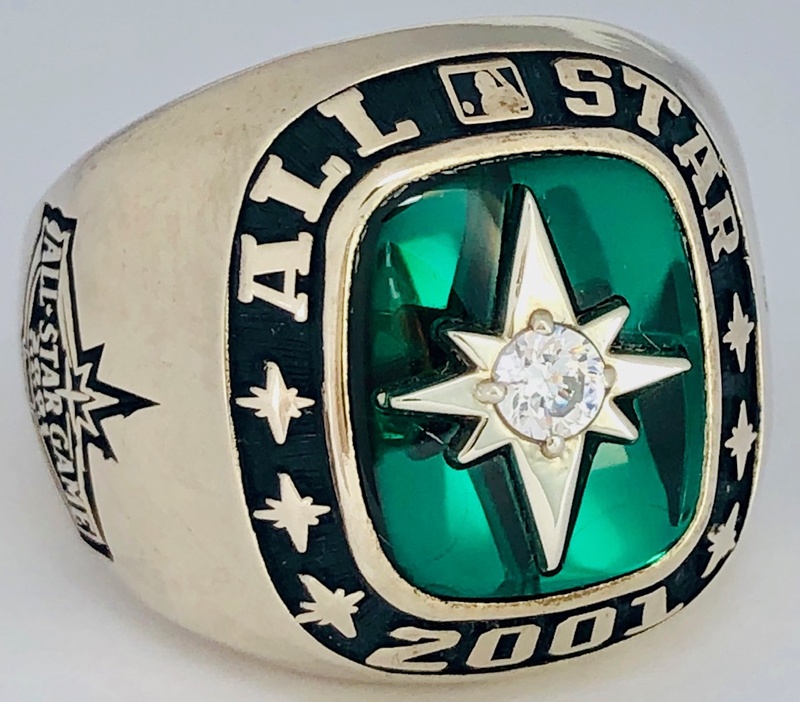 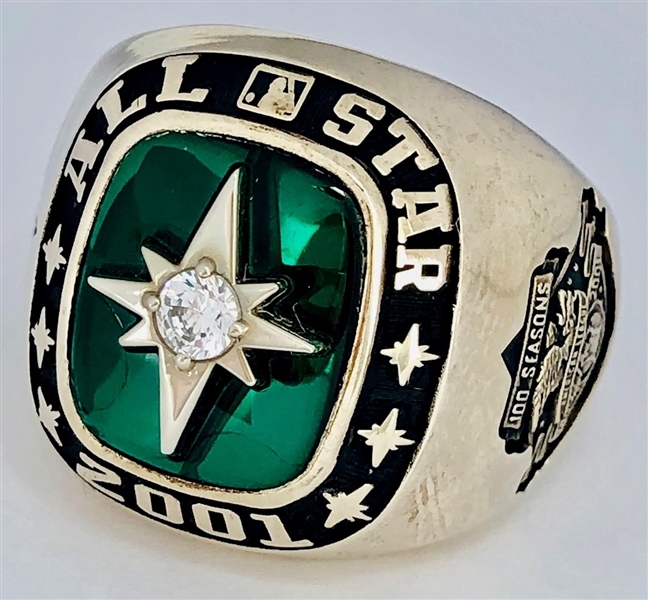 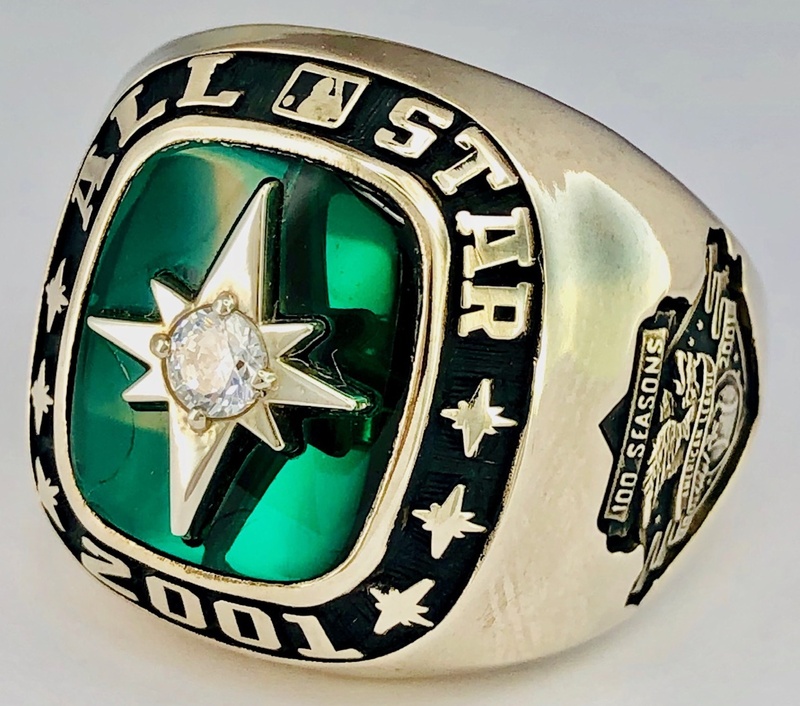 Definitely one of the rarer All-Star Game Rings, this beautiful “Mid-Summer Classic” piece is 100% GENUINE & NOT made available to fans or the general public! Crafted by world-renown Jostens and in Nr. Mint Condition. 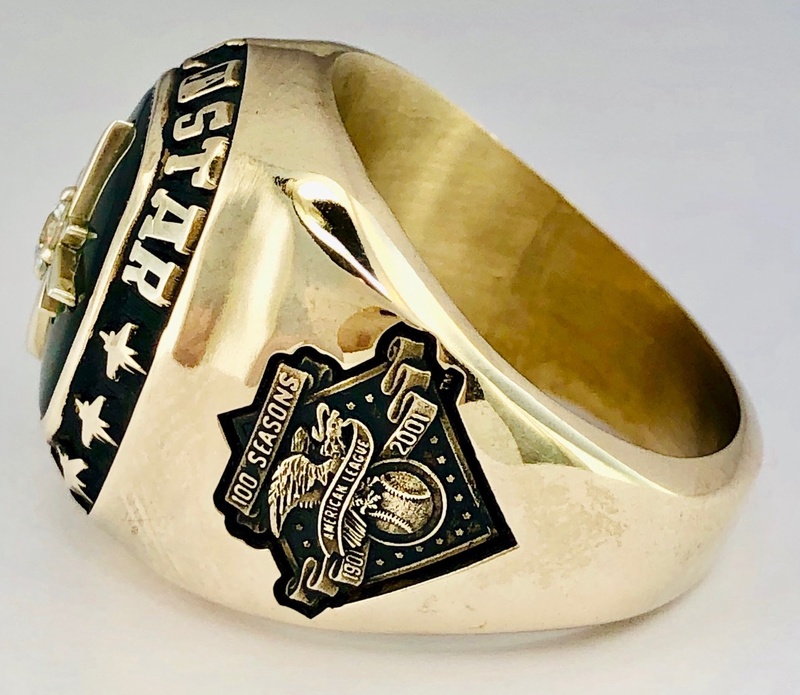 Approximate Size-10.75 to 11.25.